KG Accountants Provide bookkeeping services for charities and not-for-profit organisations throughout greater London. Our specialist charities team provide a full Charity bookkeeping service and can advise you on what books and records are required. We will also work with you to set up your Charity accounting systems at a competitive fixed fee. 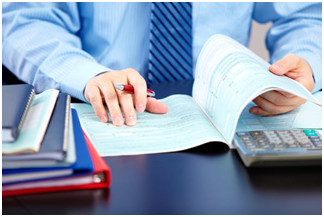 KG Accountants is able to carry out the book-keeping services for all transactions incurred by a charity. We would be happy to install a bespoke charity software that is tailored to the type of charity and also makes the charity more accountable to its funders and donors. Multi Funds Accounting and Inter funds Transfers. Preparing of budgets, business plans and all the help to secure you’re funding. Prepare Charity Accounts and carry out an Independent examination. Gift Aid Claims. We shall handle all the claims for you. Compliance with Charity Commission and Statement of Recommended Practice for Charities. KG Accountants is also able to produce Charity accounts either on a receipts & payments or accruals basis. This will be carried out from the charity’s year end trial balance (if using accounting software like Sage, QuickBooks e.t.c) or from the Excel or manual book-keeping records, together with the charity’s bank statements. A trustees’ annual report is also required for charities of all sizes and assistance can be provided to collate this.